The Greater East Aurora area, which is comprised of the Village of East Aurora and the towns of Aurora, Colden, Elma, Holland, Marilla, and Wales, is steeped in history rich in the craftsman arts due to the famous Roycroft Campus. The area also has many interesting sites and attractions to visit beyond the Roycroft Campus. 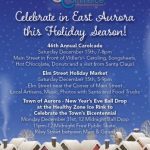 Whether you are only in the area for a day or planning an extended holiday, the Greater East Aurora area has many attractions to keep you entertained. 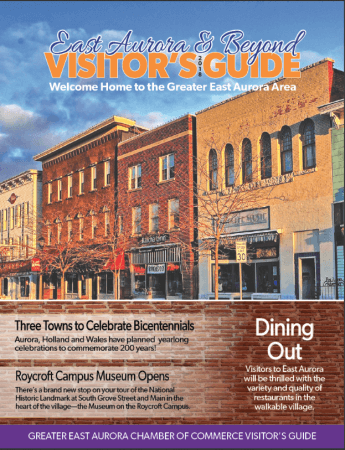 For more information on what to do in the Greater East Aurora area, please download the East Aurora And Beyond Visitor’s Guide.